Super cool medal, participant shirt and finisher's shirt! I was looking forward to my "birthday run" this year. After all, it has been 2 years since I was able to toe the line at this event. As usual, the field of runners at this year's Strolling Jim 40 Mile Road Race was as impressive as ever. It also seemed that lots of local runners were using this race as their final tuneup for a new 100 mile race taking place just two weeks later. That meant a field full of runners ready to race. While I still consider myself on my road to full recovery, my training had been going well, but I just didn't have a lot of long distance events under my belt just yet. This race would be my longest event in 2 years, which meant that I would likely have to suffer late in the race, IF I miscalculated my level of fitness and target pace. I spent race week playing with different online pace calculators to figure out what to shoot for. For me, this is half the fun of any race, trying to figure out what pace to target and what finish time to shoot for. While I am not really competing with other runners when running an ultra, I am always competing with myself to see what I can do, but all within the overall training plan and without losing focus of my goal race for the year, the Pinhoti 100 in December. Every race prior to that day is a stepping stone in my race preparation, allowing me to assess my current training levels. 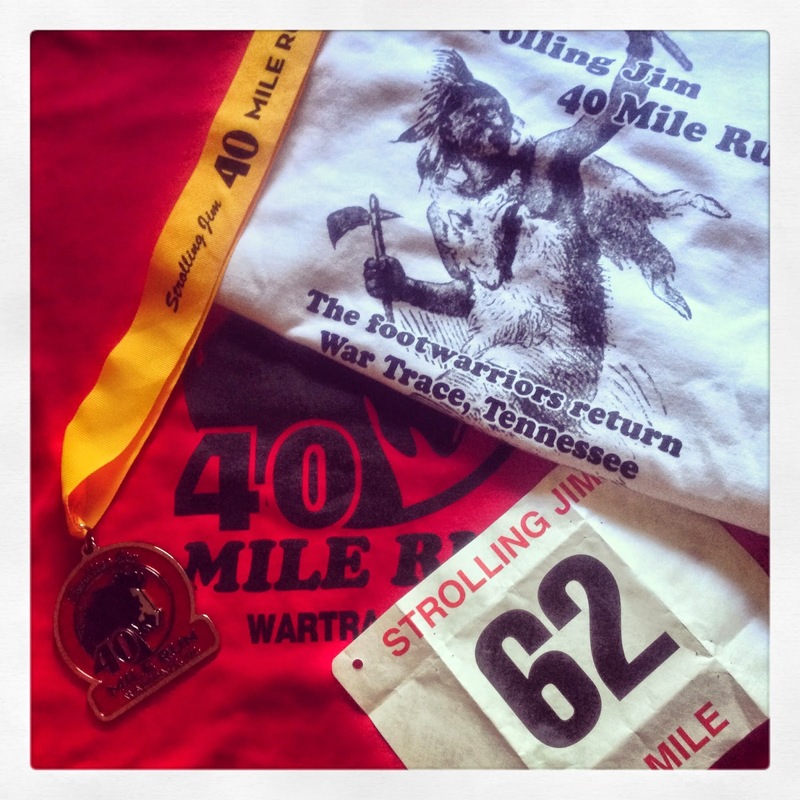 I decided on a goal pace the night before the race, but as I awoke and took the 60 minute drive to Wartrace, TN, I reconsidered once again. A couple of people had given me some strategy input and I decided to be a bit more conservative. I just did not want to blow up this time. As it turned out, dialing my target pace back by 30 seconds per mile put me at the perfect target pace. I still ended up slowing down during the final quarter of the race, but overall, I had picked the right target pace for my current training level. I lined up somewhere in the third or fourth row at the race start and when Laz blew into his conch shell to signal the race start (at least I think he did, since I almost missed the start chatting with other racers before noticing people around us taking off). The lead group took off at a frantic pace. If I read the race results correctly, less than a handful of runners were actually able to keep up that pace, but lots of runners posted some amazing results with Huntsville locals Aleisha Chaffin and Dink Taylor winning the overall women's and master's divisions, respectively. As runners took off at the race start, I tried to orient myself along a couple of other Huntsville runners, Christy Scott (who had not only PR'd a 50 mile race the previous weekend, but actually taken the overall women's win) and David Holliday (currently training for his Western States 100 debut), who seemed to be targeting a similar race pace. That decision worked out perfectly for me as we all finished within 15 minutes of each other. As I approached the first "real" hill on this course I started to pass a couple of people and I caught up with a runner, who I hand't met before but who knew me by name either through my blog or my "Stop The Clot" campaign shirt. But that wasn't the cool part of the story. this gentleman actually had a similar background or personal experience to mine as it relates to blot clots, DVTs and PEs. This was only the second time since I've become a "NATThlete" (program of the National Alliance for Thrombosis & Thrombophilia/National Blood Clot Alliance) to raise funds and awareness for their "Stop The Clot" campaign that I was approached by someone who had been affected by blod clots, either personally or through a close friend or family member. We swapped stories and as I continued to run, I hoped to catch up with him again later in the race or at the finish line. Unfortunately, that never happened and I never even caught his name (If you are the guy mentioned in this paragraph, please contact me via FB or this blog post as I'd love to continue our talk). This was the first guy I'd met personally, who was participating in ultras in spite of having to deal with the dangers of blood clots. What an inspiring young guy! The next few miles continued to tick away until I noticed a familiar runner just ahead of me cresting another hill, Beth McCurdy. Whoaa?!? Something wasn't right. I'm never supposed to see Beth after a race starts, since she is much much faster than me. As it turned out, my fears were unfounded. Instead, she was having some issues that caused her to slow down considerably. As bad as I felt for her, I was glad to get the chance to chat with her for a while, which usually doesn't happen as she is usually much faster than me. So Beth, thanks again for the conversation. It made the next few mile go by a lot faster. However, what followed next on this course is known as "the walls" which are somewhere around mile 25-30 or so. I consider this part of the race my own greatest accomplishment of the day. As we approach the first real hill of the race, I had decided that my main goal for the day would be to run the entire course and not to walk a single section of the course, regardless of how steep a hill would be or how many hills there would be. The Walls tested my resolve in this regard, but I did accomplish that goal. I never walked. Did my pace slow considerably, yes, but that was secondary for me. As I continued on, I felt confident that I would have a solid finish. My pace had slowed, but I was still moving reasonably well. David was slightly ahead of me at this point with 5 miles or so to go, so I decided to just stay in this spot without letting him pull ahead too far. That ensured that I would keep a reasonable pace. 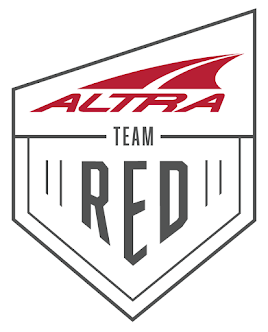 The final 2 miles seemed to last forever and when I finally made the left turn to the finish line, I was extremely happy to see that I finished well under 7 hours to earn that coveted red shirt for sub 7 finishers (6:35). This was a 50 minute PR for me and my first colored finishers shirt. Before I even sat down to eat that delicious BBQ chicken, I had decided that I would come back next year to earn the blue sub 6 hour shirt. Thanks again to the crew of volunteers providing ample support along the course and to the many runners I got to run with. If you ever thought about a cool road ultra, this is the one to do. A super special thanks to both Tony Scott and Ryan Chaffin, who not only supported their spouses during their respective races, but also everyone else that came their way. Thanks for hooking me up with plenty of fluids and snacks along the way, guys, I owe you big time! 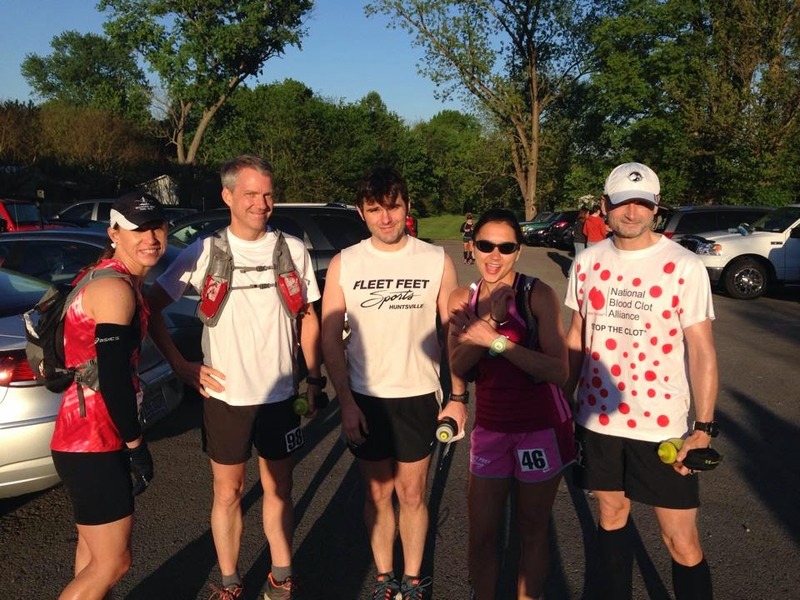 The beautiful rolling hills of Southern Tennessee paired with a fantastic field of ultra runners that aren't just fast and passionate about ultra running, but a whole lotta fun to hang out with.